As a result of the very hard work of one of MOBN!’s board members, we are now able to offer an updated video of the April 3 debate featuring nine mayoral candidates. The video and audio are now in sync, and just about all of the missing audio has been restored. Make Oakland Better Now! 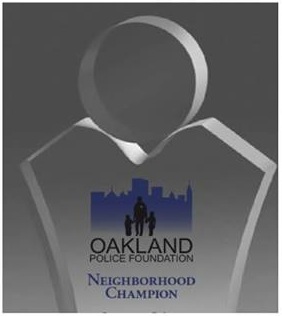 is pleased to join the Oakland Police Foundation and Oakland Metropolitan Chamber of Commerce in co-sponsoring tomorrow’s Neighborhood Champions Awards Event. Come join us as we will celebrate “Community Policing Partnerships That Work” by honoring the police officers, district attorneys, outreach workers, citizens, and the faith-based community who actively contributed to East Oakland’s 28% reduction in violent crime.